My latest novel, “Blood Justice,” has recently been reviewed by the local newspaper, The Sun News. Check it out in its entirety below and be sure to share your thoughts of my books with me on this website or on Amazon. In his seventh Jack Brandon novel, “Blood Justice,” author Barry Kelly uses fiction, strong characters and an action-packed plot that seems to be two steps ahead of the current news about ISIS, terrorist attacks and the radicalization of America’s youth. In “Blood Justice,” Jack Brandon, the hero of seven of Kelly’s novels, along with his team of behind-the-scenes warriors, works with the CIA to battle jihadists in America. But mostly, the team seems to do as it chooses, with Brandon’s guidance. That includes finding terrorist camps where young people are being radicalized and stopping the attacks that they are meant to perpetrate. “Blood Justice” brings to light some of the dangers of political correctness when dealing with ISIS, and, from the viewpoint of its characters, offers some insight into why and how young Americans are radicalized to the point of being used to carry out suicide missions and mass attacks against their country. In “Blood Justice,” the Brandon team encounters one of its most formidable foes, a terrorist operative called Tracker, who almost manages to outsmart the team as they fight to prevent mass terrorist attacks in America. 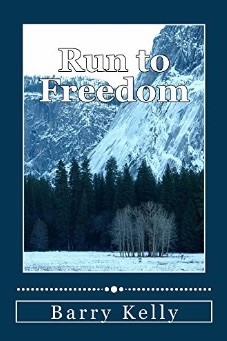 There is no shortage of adventure and action, which kept me turning the pages and following the twists and turns of a well-contrived plot with good descriptions of people and places that reflect Kelly’s imagination and his life experiences. 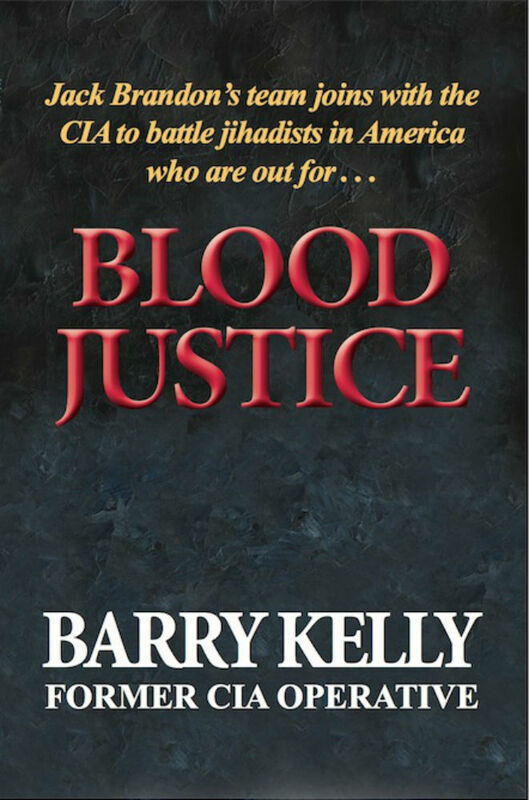 “Blood Justice,” like all of Kelly’s books, has been reviewed and approved by the CIA to prevent disclosure of classified information. Kelly, a former CIA agent with years of deep-cover experience, blends his creativity with his knowledge of espionage, counter-terrorism, black operations, the inner working of the government security apparatus and much more to create his Jack Brandon novels. His years in the CIA, the Navy and on the National Security staff as a special assistant to President Ronald Reagan, along with the rest of his rich history of service, education and awards that is shared in the About the Author section of “Blood Justice,” enhances the reader’s perceived credibility of his stories. Kelly’s descriptions of people and places are signs of his years of watching people, his knowledge about disguise and his travels as he worked with the U.S. government in places around the world. Jack Brandon and his team are experts when it comes to killing, but unlike their enemies, they only kill when it appears to be absolutely necessary to keep them and the country safe. As Jack Brandon and his team carry on their war against terrorists in Kelly’s fiction stories, attacks like the ones he writes about are being planned and carried out by terrorists in America and around the world. 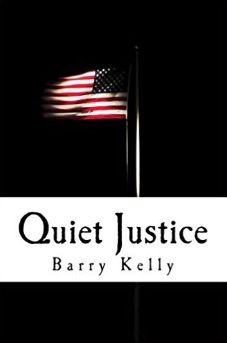 Other novels by Barry Kelly are “Justice Beyond Law,” “Justice without Mercy,” “Shades of Justice,” “The Justice Trilogy,” “Run to Freedom” and “Quiet Justice.” All of his books are published by Prose Press of Pawleys Island and are available online and at most book outlets. You can purchase this book and all my others directly from my Amazon Author Page or from Barnes & Noble. Merry Christmas!